To maintain a fresh and young looking skin, there are numerous treatments available. Celebrities around the globe make use of the finest treatments to look at their absolute best. 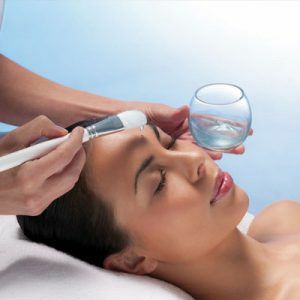 The latest skin rejuvenation treatment that is really getting attention in the celebrity circles is Oxygen Facial. Like other parts of the world, Oxygen facial in Dubai is also a huge success due to its many benefits. It can correct a large number of skin conditions within a few sessions. Be it rough texture, sun damage or certain signs of aging, Oxygen facial can correct them. It is the perfect skin revitalization package. What is the aim of procedure? The doctor will carefully examine your skin and select the most appropriate serums according to your skin type and the problem that needs to be fixed. The skin is cleansed of all impurities to allow maximum benefits to the person getting treated. The selected serum is then applied onto the skin in the treatment area using a hand piece infuser. This allows the applied serum to infuse deep into the skin layers. Other skin revitalizing serums containing vitamins and minerals as well as antioxidants may be introduced to the skin to further improve its condition. The oxygen and applied serums are instantly absorbed by skin through the pores. This makes the skin to appear smoother, healthier, brighter and fresh. The serums may vary based on the condition being treated and its extent. The entire procedure lasts for less than an hour. No pain, no serious side effects are involved. It takes very little time and has no downtime afterwards. Rejuvenated, healthy looking skin can be maintained for a long time, but with proper care. Oxygen facial gives instant glow to your skin, which is why you can get this treatment done before any big event in your life. Some of the results can be seen right away as the treatment concludes. However, maximum effect can be seen after some time. Like any other facial procedure, results of oxygen facial are also temporary and repeated treatments may be needed to maintain the results. How many sessions are needed? The number varies in individuals based on the condition being treated. Four to six sessions for most people are enough. Be sure to maintain the required gap between the sessions to avoid damage to the skin. Are there any side effects? The side effects are pretty mild. These are limited to redness and some swelling after the treatment which should subside in a day or so. Photosensitivity is developed so you must protect the skin against the harmful UV rays. Use a broad spectrum sunscreen and wear a hat for this purpose. What is the cost of treatment? The cost of Oxygen facial in Sharjah, Dubai and Abu Dhabi varies with the number of sessions you need and the skin condition that needs to be fixed. Your doctor can assess and let you know during the initial meeting. For more information on Oxygen facial in UAE or to schedule a procedure, visit us at Laser Skin Care Clinic. You can also sign up for a free online consultation by taking a minute to fill in the form given below. We are also a renowned name for Oxygen Facial in Abu Dhabi and Al Ain. 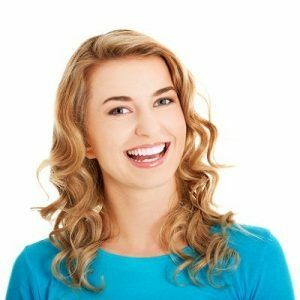 Acne bothered me for more than 3 years before a friend of mine told me about oxygen facial – latest acne treatment that uses oxygen gas to kill acne causing bacteria. I got oxygen facial at laser skin acre and I am very satisfied with the results of my treatment. Not only my acne is gone but skin also looks fresh and rejuvenated. Too many people gave me the remark that my skin looks glowing, beautiful, and much healthier. Would not hesitate to refer Laser Skin Care and Katrina Valente to my friends and family. I got just two oxygen facials over the last two months and 70% of my acne is gone. I would rate the procedure as the best acne treatment so far, since it is not only painless but also does not cause any serious side effects. It was really a great experience, no pain, no scarring and no complications. Thanks Katrina Valente, Thanks Oxygen facial! You Don't want to Miss Our Offer on Oxygen Facial . Fill in The Form To Avail Our Special Offer For You!